Indie developer Puppet Combo has been tearing up the indie horror scene in the last few years with a series of small, experimental horror games. Sporting an easily identifiable PS1-style aesthetic informed by grindhouse and slasher films of the 70’s and 80’s, it’s easy to see the appeal of his games, though for a while I’ve been waiting for the developer to take on slightly bigger projects. The Glass Staircase, his recently released homage to PS2 horror games, is exactly what I’ve been waiting for. 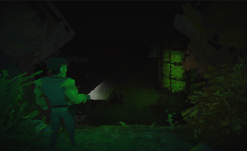 Inspired by Italian zombie cinema of the 70’s and 80’s, The Glass Staircase also features some very obvious references to Resident Evil in its gameplay and structure, but still manages to provide an original experience. 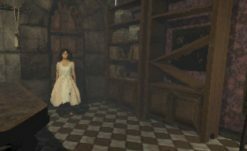 Taking place in a dilapidated mansion, players take control of different girls in a daily cycle. When players reach the conclusion of one day, the perspective switches to another girl, all of whom share a room. The room itself is spacious, and the only things to interact with are a loudspeaker which barks orders at the ladies, and mysterious medicine they are asked to take. These somewhat surreal elements are what separate The Glass Staircase from simply being a Resident Evil tribute in the vein of Vaccine. As the mystery builds, the player discovers the house’s sinister link to a mad doctor. The story is told primarily through found notes, though a few sporadic low-fidelity cutscenes add to the game’s retro charm. Unfortunately, the notes aren’t quite as succinct as they could be, throwing giant walls of text at players for them to parse for narrative value. The content itself is fine, but I can’t help but feel the game would have been better served by an editor, as most of the issues can be fixed with line breaks and indentations. The overall structure of The Glass Staircase is particularly interesting, serving as a wonderful example of how to wring the most mileage out of a small, playable space. While each day starts the same — with one of the girls receiving instruction and leaving the bedroom — their objectives are so different that the game never covers the same ground twice. It’s a clever design trick that creates as shared sense of intimacy to the environment between characters, despite the different fates they may meet. In terms of gameplay, The Glass Staircase hits all the notes I expect from a classic horror survival game, including tank controls. Oddly enough, I had to switch to tank controls through the menu. I can understand why some players might be more comfortable with the default controls, but to me, it’s the only way to play. 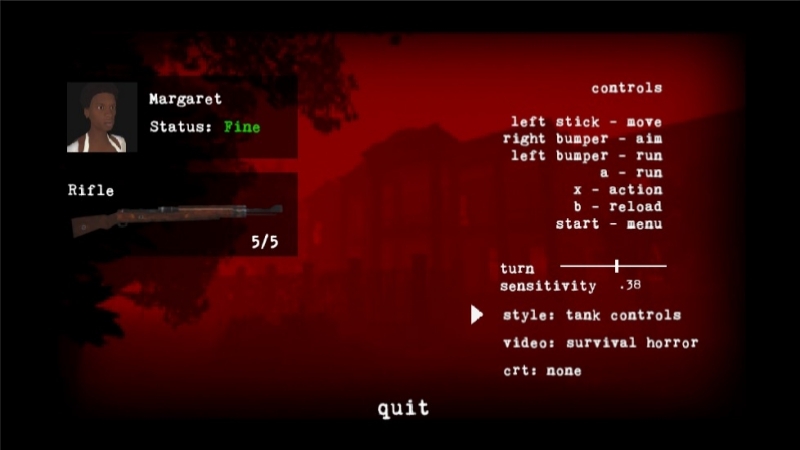 A special kudos should be thrown to the developer for including a slider to change turning speed, which makes navigation much easier than some other, similar indie horror titles. Atmosphere and exploration are the core of The Glass Staircase. Featuring eerie ambiance and a subtle score throughout, the game uses sound to effectively build an atmosphere of dread and melancholy. Environments are impressively detailed, featuring plenty of unique assets that add texture to the world. 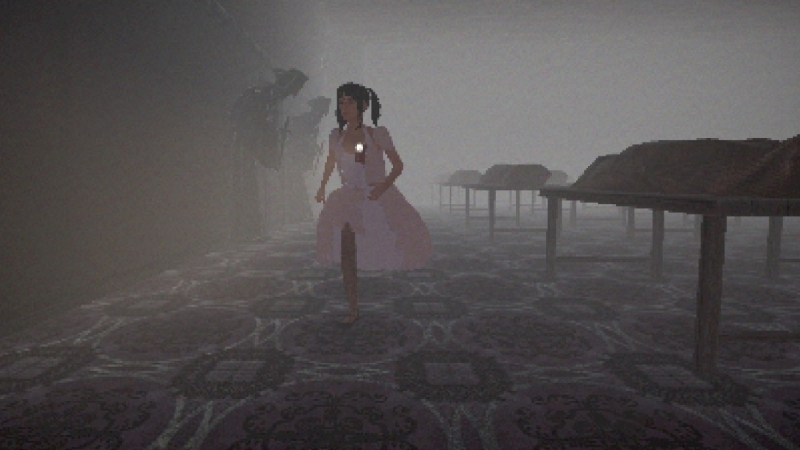 Like any good classic horror game, the player can investigate most points of interest for additional information. There are a few graphical inconsistencies throughout, such as the rampant clipping of character models legs through dresses, but overall, The Glass Staircase is an attentively made adventure rich with detail. 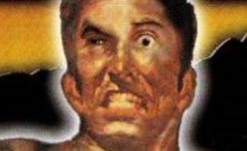 There is also some combat towards the game’s climax. Unfortunately, this was my biggest problem with The Glass Staircase, as dying due to finicky auto aim and a lightning-quick enemy result in players needing to start the final day — including a lengthy exploration puzzle — over again. Dying so close to the end and having to restart put a serious dent in the momentum the game had worked so hard to build, and while I respect a good challenge and punishment for dying, it felt somewhat out of place in a game that, until that point, had no combat. Hopefully the developer can add a small auto save to relieve this issue. 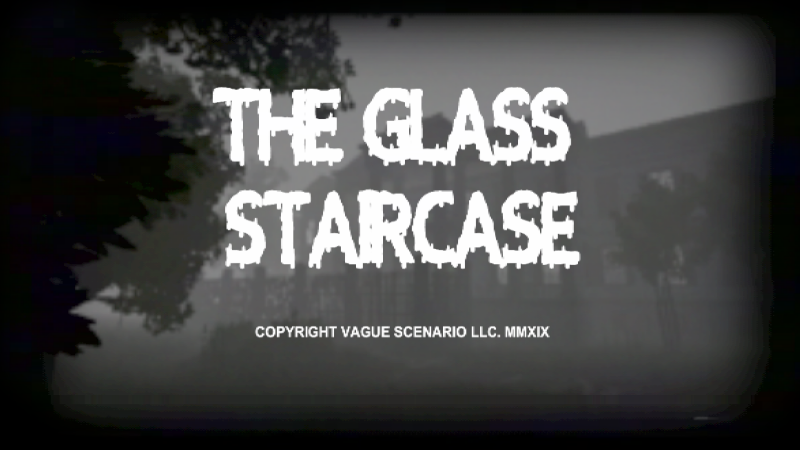 The Glass Staircase is the work of a developer with an obvious passion and respect for all sides of the horror genre. I’m glad to see Puppet Combo tackle something a little bigger and more narratively involved than his usual titles. While he’s done a great job of varying the tone and gameplay style of his games, I’m usually left wanting a little bit more substance. With The Glass Staircase, I feel he delivers, and I hope it’s a sign of bigger, more ambitious things to come. It’s not without its problems, but the quality and craftsmanship of the work shine through, and it’s certainly worth a look for any fan of PS2 era horror survival games. It’s a little on the short side, but as an experience, The Glass Staircase is well worth the investment. You can check out The Glass Staircase on itch.io right here.